Miami International Airport (MIA) has opened the first facility in the US to use facial recognition to expedite passport screening. 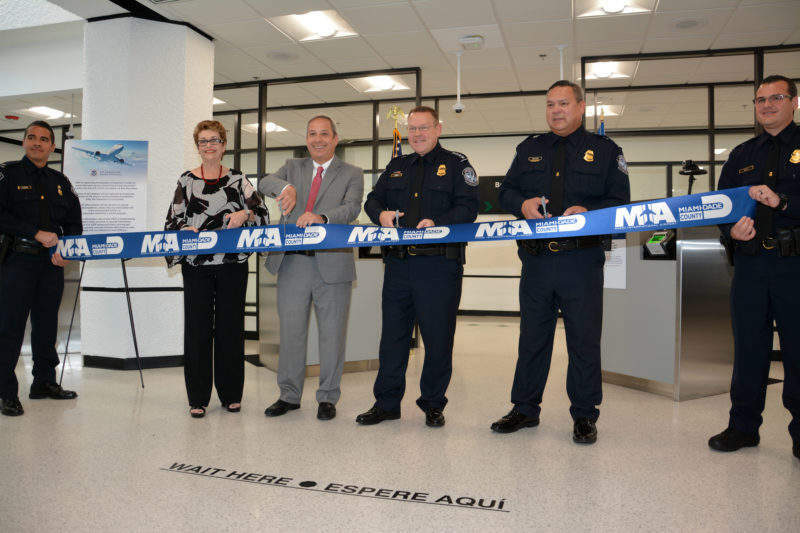 The facility, which was partly developed by US Customs and Border Protection (CBP), films the faces of passengers and matches the results to the documents the passenger is presenting, speeding up the processing of travellers. The technology has been trialled at MIA since November 2017, and has been screening up to ten passengers per minute. Over 21 million passengers used the airport in 2017, a year-on-year increase of over five million since 2000, so improving the efficiency of the airport is a priority for its operators. “Improving customer service through technology and innovation is our highest priority at MIA,” said Lester Sola, director of Miami-Dade Aviation. The facility has also reduced the walking distance for passengers using Concourse E, where it is located, who previously only had access to the Concourse D passport hall. Passengers are also offered passport clearance via Global Entry kiosks and the Mobile Passport Control app, software authorised by the CBP to ensure travel to and from American international airports is efficient and safe. “CBP’s core mission is to safeguard America’s borders. We must balance our need to increase security while still expediting travel,” said Todd Owen, executive assistant commissioner of the CBP. Facial recognition software has been criticised in the past for failing to effectively differentiate faces, particularly between those of East Asian descent. Apple offered refunds to a woman from the Chinese city of Nanjing last year when a colleague was twice able to bypass the iPhone X’s face recognition lock by using her own face, leading some to brand the software ‘racist’.